From now on there will be NO EXCUSE for not shopping with us. You see, we know: some of you are JUST TOO BUSY to stop and shop. And we also know that it can be a teensy bit hard to find a handy parking space right outside. We already offer a mail order service, but if you’re local-ish, we’ve decided to offer to deliver it to you. 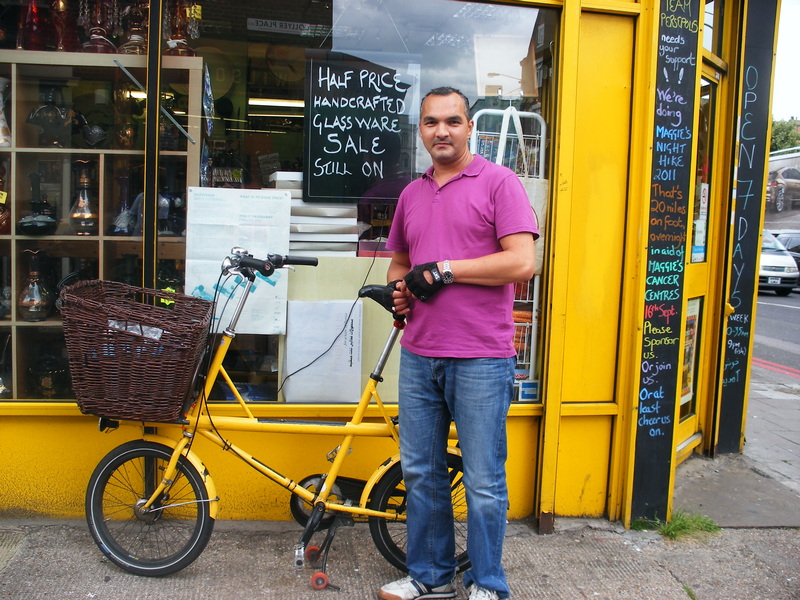 Our friend Tony (on his shiny yellow bicycle) will be happy to run your groceries/general supplies/hampers round to you from Monday—Thursday each week. We’ll work on covering the other days too. 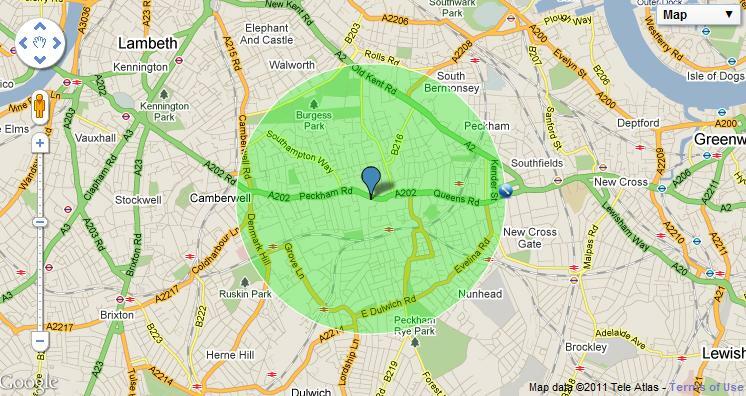 If you live within a one mile radius of the shop, the delivery fee is a very reasonable £5: if you are slightly out of the circle below, there will be a surcharge of 50p per half mile. Spend more than £50 and we’ll do it for free. You can pay by credit/debit card over the phone (50p charge for debits less than £10), or by cash on delivery — whatever’s easiest for you. Just call us on 020 7639 8007 to place your first order.